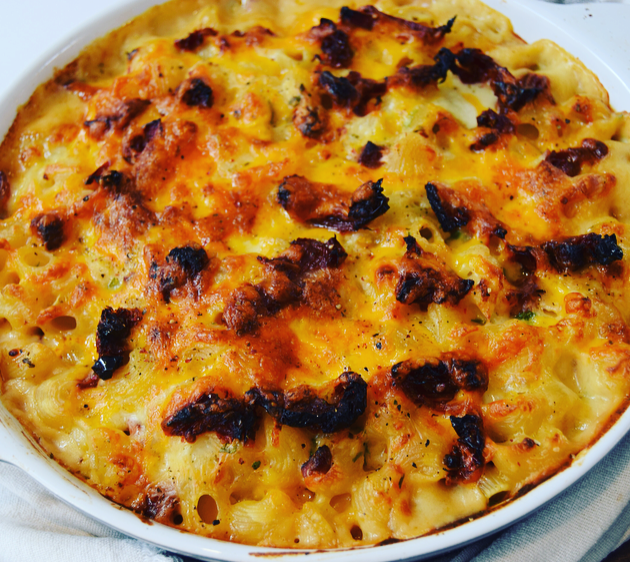 I love Mac and cheese; it is a true comfort food dish! This recipe is very gooey, I used Mozzarella in the sauce so you get that stringiness to the dish. I also used some red cheese as it adds great colour. 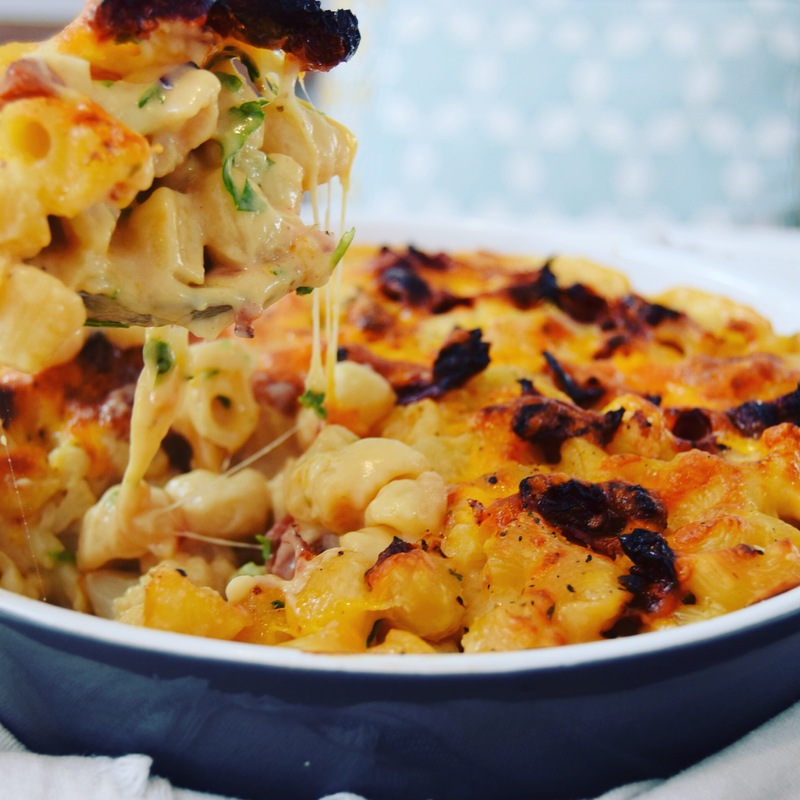 Anyway this was one of the best mac and cheese’s I have made, after already eating too much you cannot help going back and eating spoonful’s of it cold!! 270g pasta you can use macaroni, I used what I could find in my Spanish local shop which looked like pipe rigate, but my favourite is the large fresh macaroni you can buy in UK supermarkets. Cook your pasta in salted water; I like mine to be slightly under cooked as it will cook more in the oven, nothing worse than mushy pasta!! 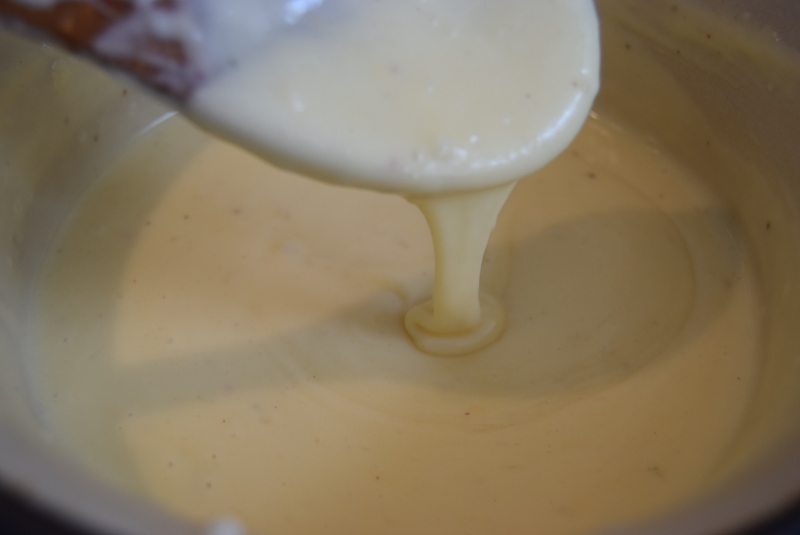 To make the cheese sauce, melt butter in a saucepan then add the flour and cook for a few minutes then gradually whisk in the milk. Let it bubble for a few minutes, it should thicken pretty quickly. Keep stirring/ and scraping the sides as it sticks and you do not want lumps. Once it’s the thickness of double cream, add 3/4 of the mozzarella and half of the red cheese. 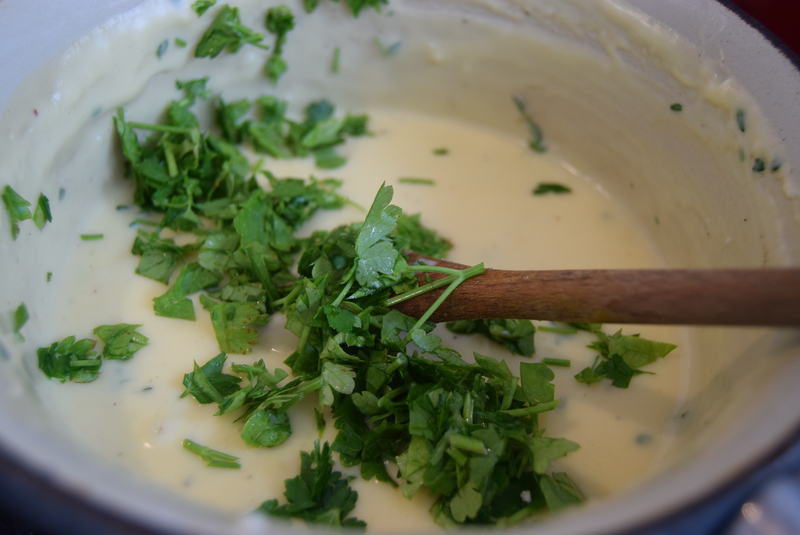 Let the cheese melt and the sauce thicken a little more then add a pinch of salt, lots of black pepper and your herbs. In a frying pan brown the chorizo, no need to add oil. Add the garlic and mix well. Add this and the cauliflower to the cheese sauce along with the pasta. Stir well. Place into an oven dish and sprinkle over the sun-dried tomatoes, try tuck them in. and the rest of the cheeses. Add more black pepper and pop into the oven for 30 minutes or until the top is bubbling and cheese is browned. 270g pasta you can use macaroni, I used what I could find in my Spanish local shop, but my favourite is the large fresh macaroni you can buy in UK supermarkets. 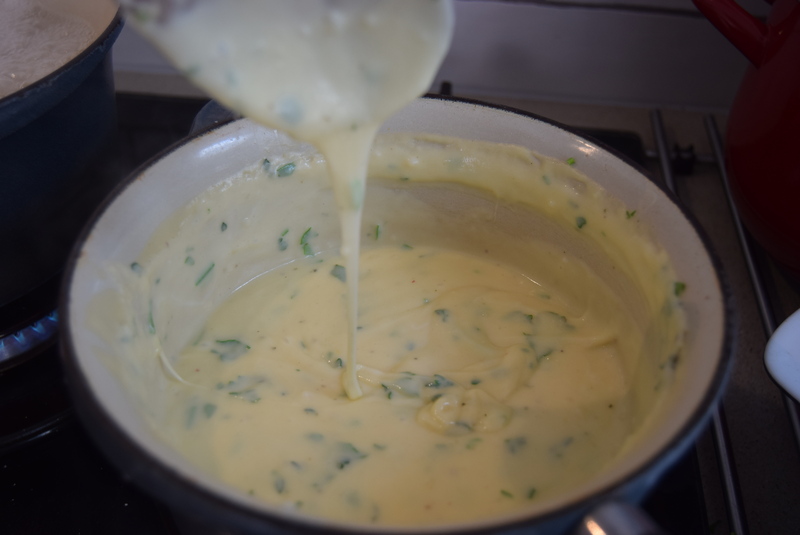 To make the cheese sauce, melt butter in a saucepan then add the flour and cook for a few minutes then gradually whisk in the milk. Let it bubble for a few minutes, it should thicken pretty quickly. Keep stirring/ and scraping the sides as it sticks and you do not want lumps. Once it’s the thickness of double cream, add the mozzarella and half of the red cheese. Let the cheese melt and the sauce thicken a little more then add a pinch of salt, lots of black pepper and your herbs. 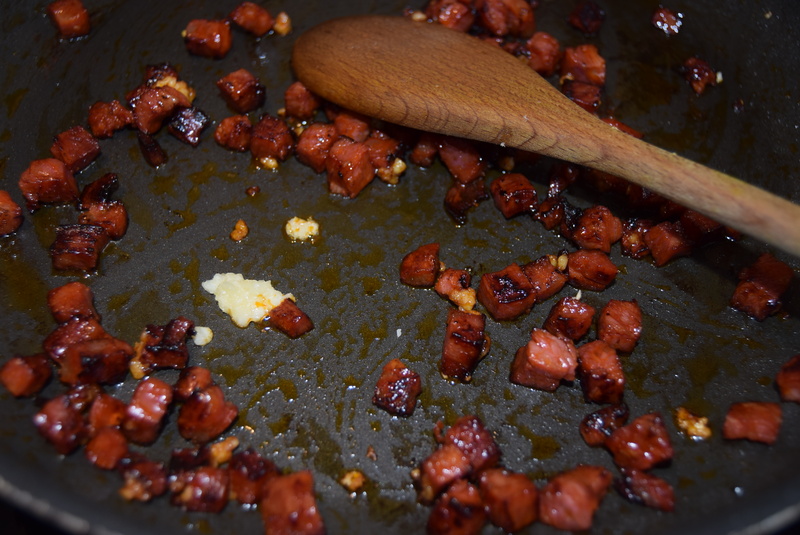 In a frying pan brown the chorizo, no need to add oil. Add the garlic and mix well. Add the cauliflower. 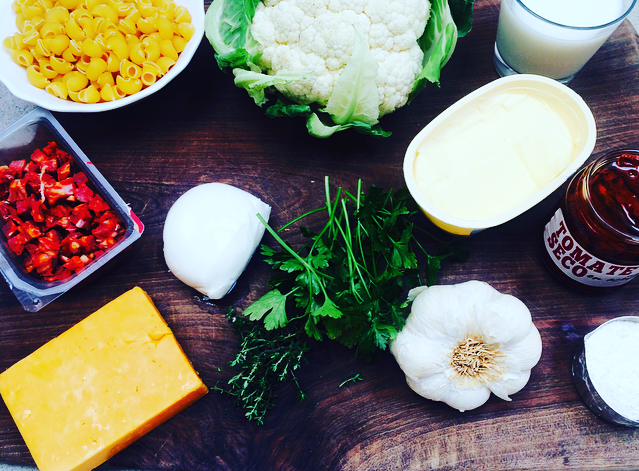 Add this whole lot into the cheese sauce along with the pasta. Stir well. 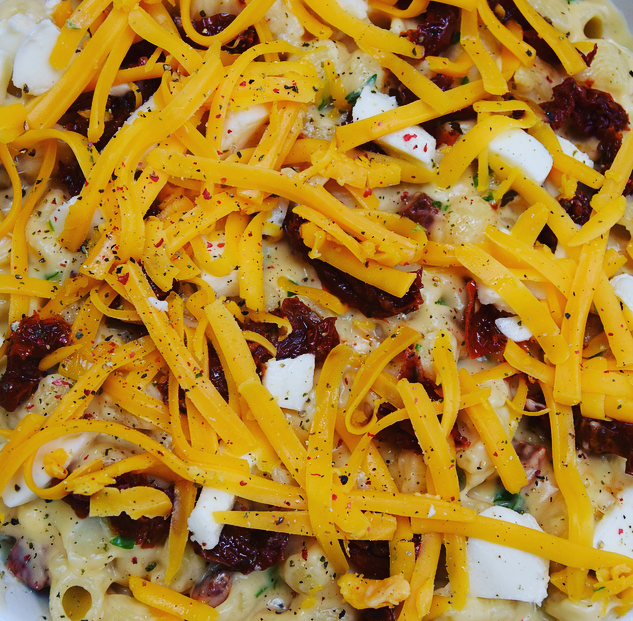 Place into an oven dish and sprinkle over the sun-dried tomatoes and the rest of the red cheese. Add more black pepper and pop into the oven for 30 minutes or until the top is bubbling and cheese is browned.